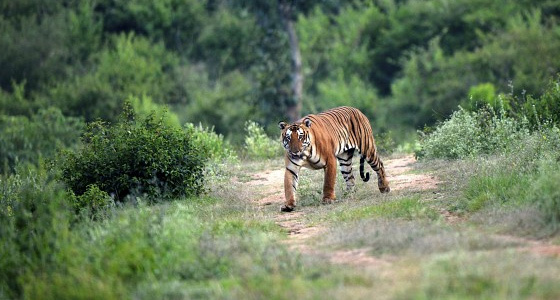 Wildlife safari to spot wild animals like tiger, bison, sambar, nilgai, chital, wild boar, sloth bear and wild dog. You will be picked from Nagpur Hotel / Railway station / Airport and straight drive to Satpura National Park. On arrival check-in to the wildlife resort. Evening at leisure. Overnight stay at resort. Satpura National Park is spread over 1427 sq km and was formed in 1981 after joining Satpura, Pachmari and Bori sanctuaries and the altitude ranges from 300 to 1,352 mts (980 to 4,436 ft). The terrain of the national park is extremely rugged and consists of fascinating deep valleys, sandstone peaks, narrow gorges, rivulets, waterfalls, thick dense green forest of Sal and other medicinal herbs, it also has large tracts of Teak forests. 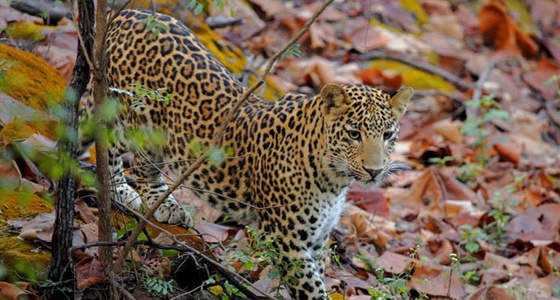 The major wildlife found in Satpura National Park are - Spotted Dear, Indian Bison, Tigers, Leopards, Wild boar, Wild dog, Sloth bear, Black buck, Porcupine, Sambhar, four Horned antelopes, Smooth otter, Pangolin, Marsh crocodile, Languars, Indian Giant squirrel etc.